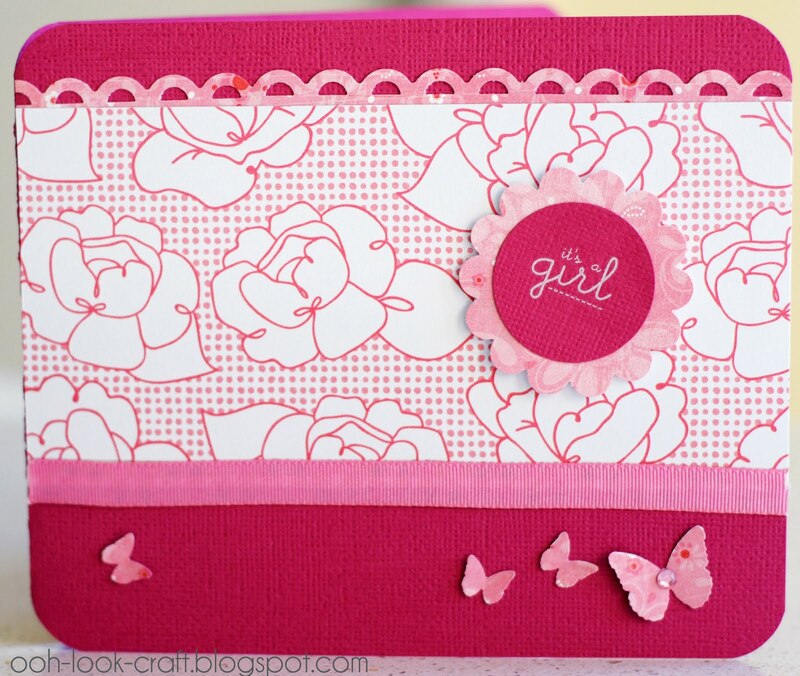 This is a card I made for one of my Canadian cousins. 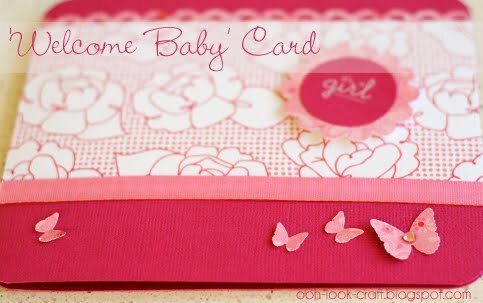 She recently had a baby girl, which calls for an appropriately feminine and pretty card. 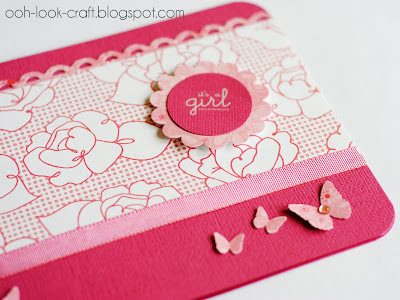 The pink and white flower-patterned paper is from the Dear Lizzy line from American Crafts. I cannot tell you how much stuff I've got from this range, except to say that it is a lot. And I haven't used any of it up till now. By the way, this is the wedding card I made last year for the same cousin. Me likey. I'd be happy to get a paper card these days, let alone a handmade one that's perfect for the occasion! That is great! You are so creative.... I wish I had some of those nibble and arty hands.